I have several bottles of castor oil, which is a wonderful oil for health and beauty. I used this product as a hot oil treatment before shampooing and my hair came even softer and shinier than it usually does. I just came in out of the rain and my hair did not frizz up at all. I mostly use castor oil for my boyfriend’s eczema and for any itchiness I experience, and also for body aches. Castor oil works well to relieve both problems. However, because of the small size of this bottle, I will reserve it for beauty uses like hot oil treatments, applying to split ends at night, and applying to eyebrows and eyelashes at night. Nature Ace is tops. Their weight loss tea tastes out of this world. They stick to the best ingredients. This oil is way to thick to apply to my hair as a leave in conditioner, however it makes a great hot oil type treatment for my hair instead. I apply it to the roots of my hair and brush it to the ends. I usually let it sit in my hair for an hour before washing and could leave it in over night too to let the oily goodness penetrate deeper into your hair shaft. This oil washes out easily from my hair as well leaving behind no residue at all after one washing. I noticed that my hair felt noticeably different while rinsing and an even bigger difference while damp and combing through my hair. The watermelon smell is pretty strong with this oil, but not too overwhelming or sickly sweet. I tried to use a small amount to combat frizziness, but this oil is just too heavy and thick for my hair and it looked greasy and weighed down, even with an extremely small amount. I have not used this product long enough to see any hair growth, nor do I think I will use it in a consistent manner to see new hair growth specifically from this bottle fo product. I do not buy or use products based solely on their claims or promised of faster and thicker hair. I use the product based on what yummy ingredients my skin and hair need to be fully nourished and healthy. Proper nutrition and hydration is the best way to grow your hair! 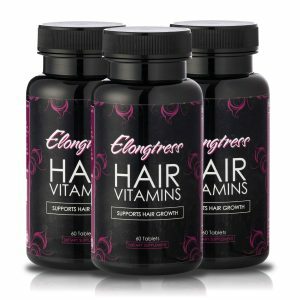 I received this Elongtress Fancy Oil Hair Growth Enhancer by Coils Media LTD at a discount in exchange for an honest and unbiased review. This stuff is great! I I use the serum and the shampoo. I got it because my crown area was so thin. Now my hair is fuller and longer. It’s a bit out of control. I am African american and my hair is unprocessed. I blow dry and flat iron it straight. Now my edges and crown are so full, I cannot keep my roots straight. I received this product at a discount for my honest review but I will definitely be buying again!! smells delicious very light on the hair ,doesn’t weigh it down and provides a great sheen .the free e-book was useful I learned a few things to add to my hair regime.given at a discount for my honest review. Very satisfied with this product. This oil came in a 4.22 fluid ounce brown plastic bottle with a pump. This hair growth enhancer oil has a somewhat thick consistency. The hair growth enhancer oil ingredients consist of Ricinus communis(Castor Oi), Vitis Vinifera ( Grape seed oil), Cocos Nucifera ( Coconut Oil), Fragrance, Essential Oil Blends. The scent of the oil that I have received is the watermelon and apple. The first thing that I noticed was the smell of this fancy oil. This oil smells absolutely amazing. When I opened the bottle to smell the oil the scent knocked me right in the face. I was blown away when I smelled this fancy oil. This oil smell so dang on good. Next what I liked about the product is the pump, The pump was no an issues it was able to dispense out the oil on the second pump. 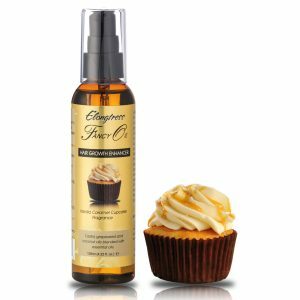 I have used this oil a couple of times and i did go by the directions on the bottle:Massaging the oil gently in my hair starting at the scalp and working my way down to the length of my hair damp and dry. The direction also state to use it 3-5 days a week or as needed. I will admit I did as needed because I do not want my hair to get clogged up with oil. A little bit of this oil goes along way.This item states that it is suppose to be hair growth enhancer I have not seen that yet but of course I will have to continue to use it to possibly see any results. I do really like this oil not only because of the awesome smell but the fact that this oil has good ingredients. Especially the main ingredient which is castor oil, castor within itself has great benefits for hair in which one them is hair growth. I will surely continue to use this oil in my hair to see if I can see any hair growth. I will also add that I will be purchasing another oil just in a different scent once I am done with this bottle. Disclaimer: I did receive this item at a discount for my honest unbiased review, My opinion are of my own into what I experience with this item. I ordered two of the fragrant olis. The order arrived on time. When it was applied to my hair, it was obvious that it was going to become a staple. My dry hair became moist, but not greasy. 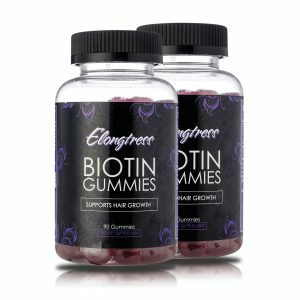 It’s only been less than a week since I began using the hair growth enhancer along with the Elongtress vitamins with biotin. The only complaint is that I cannot determine if the eBook was sent to me. I’ve also sent an email to company website and have not received a response. That’s why only 4 stars were given at this time. Thanks for your review. The ebook is usually sent automated as soon as your order is marked as shipped. So sorry that you didn’t receive yours. Please drop us an email at support(at)elongtress.com and I will email you the book straight away.